The Phoenix Rises is the remarkable story of the transformation of ‘Australia’s Game’ from a troubled Victorian Football League to the Australian Football League powerhouse of today, told by the man who pulled the levers for drastic change. In 1986, Ross Oakley was appointed chairman and CEO of the struggling VFL. During the 10 years that followed he oversaw the revolution of the game and its administrative structure, and took the League from all but broke into a massive business. Often faced with very public and emotive opposition and criticism, he took brave decisions to take the game to new frontiers. His legacy is the national competition, and Australian sport's most professional administration, led by the AFL Commission. 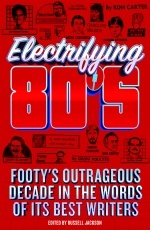 Told from Oakley’s unique vantage point, The Phoenix Rises revisits the 80s, a turbulent and divisive era in AFL history, and reveals, for the first time, the off field tumult that took place, often behind closed doors. From never before revealed insights taken from the confidential minutes of the League, to the faltering steps behind the AFL’s ground-breaking Racial and Religious Vilification laws, The Phoenix Rises exposes the full picture, and the truth behind the drive to the national competition and the independent Commission. 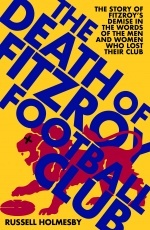 The Phoenix Rises is the perfect book for AFL fans, sports enthusiasts and sports administrators. 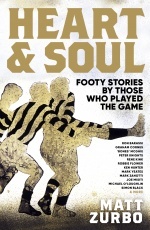 With Father’s Day not far away it’s also the ideal gift for the footy mad dad. Ross Oakley is a former player for St Kilda. In 1986, he was appointed chairman and CEO of the then VFL, a position he held until 1996. In 2009 he was inducted into the Australian Football Hall of Fame. Jonathan Green has been working in journalism since the 1970s. He has worked for The Herald, The Herald Sun, The Sunday Herald, The Age and Crikey.com. He currently hosts Sunday Extra on ABC Radio National and is the former editor of ABC’s online news site The Drum. Read an article on 'The Phoenix Rises', written by Professor Andrew Clarke, for Victoria University. Read an article about The Phoenix Rises that appeared in The Standard. Read an article about The Phoenix Rises that appeared in The Australian. Listen to an interview with Ross Oakley on Triple M Adelaide.